After months of anticipation, former Dallas Cowboys quarterback Tony Romo made his debut as a broadcaster on Sunday during CBS’ broadcast of the Tennessee Titans and Oakland Raiders, and it seems like he did great, at least according to the critics. But before going on with his new career, Romo took an interesting approach to prepare himself, as Cousin Sal from the Jimmy Kimmel Show revealed during an interview on the Bill Simmons Podcast. The 37-year old former star played Madden to listen to the commentary at first, but things took a surprising turn when he started playing and beating some of the top players online. “We were over at Romo’s house, Jimmy Kimmel and I, and he’s talking about broadcasting. It was this summer, and he showed us the Chiefs-Falcons game, where he was calling the game. If Romo can be as skilled in broadcasting as he is on the sticks, he may be sticking around the commentary business for quite a while. 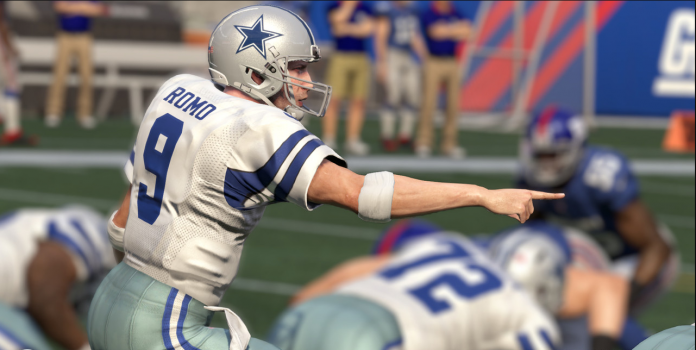 Don’t forget to check our Madden section for videos and tips.